3M is in every aspect of your life. That elevator you took in the mall today? 3M made the carpet and the buttons. Your shoes? 3M made that weird inset sponge things, and those little bits of plastic on the ends of the laces. Your car? They made the indicator light bulbs and the caps for your tire valves. What, he couldn’t just buy a bigger shirt or something? 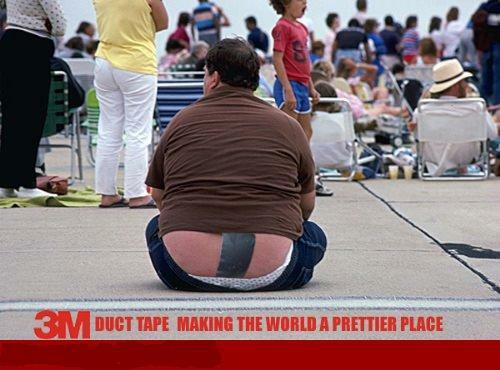 Later he had to peel that off… YOWCH!